When it comes to the sport of skiing, there are many intricacies and specifics in the equipment that is used. These details are not really important to people who are only renting the skis to enjoy a day on the slopes with their families. However, people and professionals who are serious about skiing need to be aware of these variables in the equipment and how it affects their style of skiing. One very important element to the art of skiing is to know how to mount ski bindings. When you purchase a set of skis, there are designated mounting points on the skis. 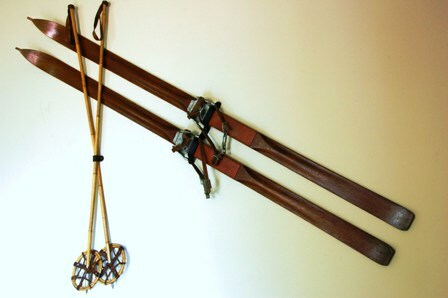 There are three different mounting points on the skis. Each different mounting point is used for a different style of skiing. The specifics of the skier such as their weight, height, age, and skill are also variables that need to be considered. Once these variables are figured, the skis are ready to have the bindings mounted on them. This is done by utilizing a jig for the placement of the screw holes for the bindings. The jig is set to the size of the boot and then attached to the ski in the proper position and clamped into place. There are specifically placed holes to drill. Remove the jig and turn the ski over and tap to remove any extra residue from the holes after drilling. The next drilling aspect is to tap these drilled holes of the ski with a hand tapper to give the screws a better grip. Once again it is necessary to clear the drilled holes of any materials that may have fallen into the holes while drilling. The next step involves applying a small amount of glue to each screw hole. This will not only help to secure the binding, but it will also keep the screws safe from water and rusting. Simply squirt a small amount into each of the freshly drilled holes. Place the binding plate on the ski lining up the binding holes with the drill holes and screw the plates down onto the ski almost all of the way using a drill. After drilling all screws in lightly, use a hand screwdriver to finish the tightening to the correct torque. Slide on the toe and heel portion of the binding and adjust to the boot size according to the readings on the bindings. Use a hand screw driver to attain the proper settings for the boot size. Another setting on the skis are the release settings. There are screws at the back of the heel as well as at the toe for adjustments. Each of these can be set to the amount of pressure needed. The ski can then be tested on an electronic binding tester to assure that it releases at the proper pressure point for the skiers specific height, weight, age, and skiing skill level. With the proper mounting of ski bindings, skiers will enjoy the type of skiing that they desire much safer and easier.